by Dawn Gettig, AIA, MWFS, and teaching mentor at WWU. Children begin life as sensitive and delicate little souls that need a nurturing environment. Expectant parents delight in decorating their new child’s room in preparation of their arrival, even if the child will not initially be sleeping in their own room. It is essential to create a child’s room that is filled with love, dreams, and positive vibes or Chi. Feng Shui, the ancient Chinese art and science of designing spaces (1), is all about creating a nurturing and soothing environment. Feng Shui techniques can be used to design a room filled with good energy and natural materials; one with plenty of imagination as a way to help children flourish in mind, body, and spirit. Maybe you want to create a room that feels earthy and comfortable or one that has a magical feel to inspire creativity in the child. There are many ways to decorate a special room for your child using Feng Shui and here are some ideas to get you started. 1. Good Flowing Chi: You need good air circulation and some open space so you, your child, and Chi can move easily. Therefore make sure the room doesn’t have too much furniture and try to keep things fairly simple and organized. Keep the room clutter-free. I know sometimes this is challenging (I’m a busy working mom so I understand). But do your best and don’t over-purchase. Feng Shui is about living a life that reflects you authentically. And having kids means owning more stuff. So it is realistic to have more clutter in a home with children as opposed to one without children. Just try to keep the clutter under control so it doesn’t control you or inhibit good Chi flow! Orange and peach represent joy. Rosy pink and magenta represent love. Yellow brings a feeling of warm, luminous sunlight and evokes happiness. Blue and violet both soothe and create a peaceful environment. Green represents growth, harmony, and peace. Why not get creative and use a combination of colors within the child’s room? I recommend using calming colors on and near the bed. Too much color (like bright red) next to the bed may over-excite your child and keep him/her from a restful sleep. Conversely a room with too little color is bland and will not stimulate your child. It often is about balance and placement. 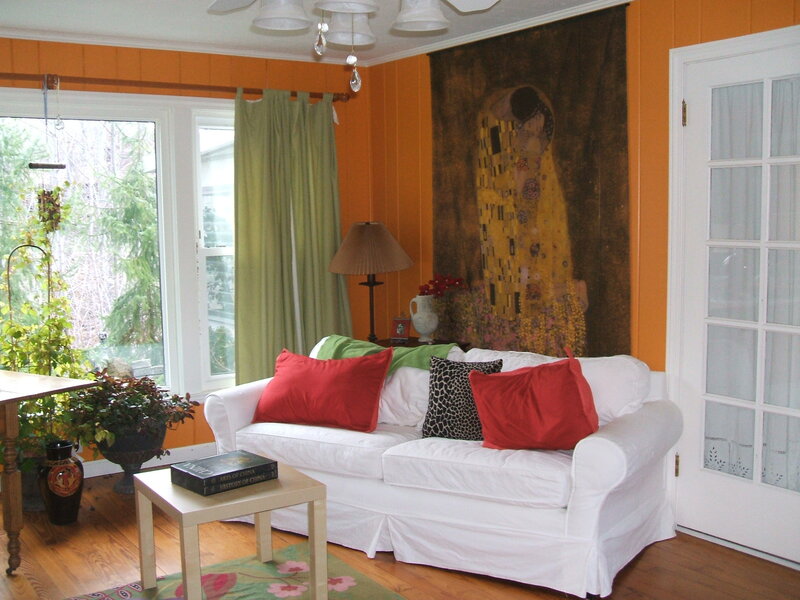 And you can always use fun vibrant colors through curtains, pictures, pillows, etc. I highly recommend using no VOC paints (2) when painting any room, especially a child’s room. VOCs are volatile organic compounds that are released into the air for years after the paint has dried. 3. Use your imagination: As Albert Einstein said, “Imagination is more important than knowledge. Knowledge is limited. Imagination encircles the world.” Imagination takes you far and wide so create a decor for your little ones to help develop their creativity and exploration. Who doesn’t love fairytale enchantment or the magic of fairies, nature spirits, or angels? You can add motifs in a myriad of ways. Bring in the wild things and nature. A child’s room is a great space to decorate with items such as images of butterflies, ladybugs, birds, horses, puppies, kittens, etc. through fabric and pictures. In my daughters’ room I painted a large 6 ft tall tree with branches and leaves. I also painted a picture of an owl in the tree’s branches. I like to believe there are animal and/or angel guardians that protect children while they sleep. If you don’t want to paint a mural on the wall then you can purchase a mural or buy a decorative wall decal. There are many places on the internet to purchase these products. Another fun thing to do is use blackboard paint (purchased at any paint or hardware store) and paint it on the wall in an area of your child’s room. My kids love to chalk on this surface. 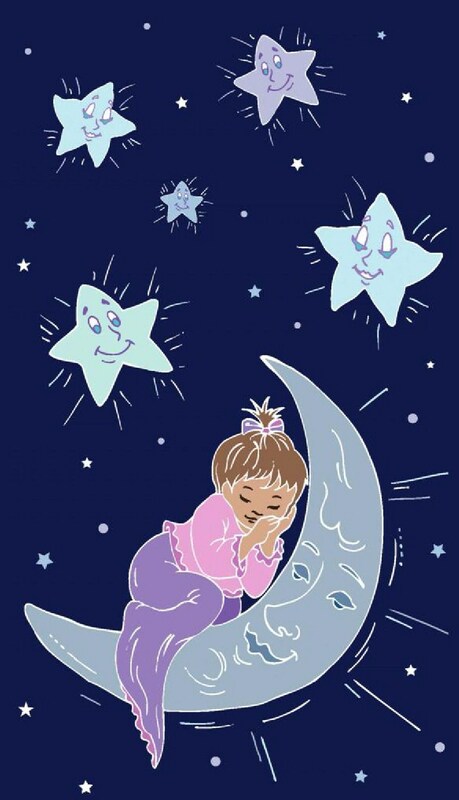 Bring in a heavenly, celestial feeling in your child’s room with glowing stars, a string of lights, pictures of Pegasus or angels. Hang feathers, fun mobiles, chimes, or a colorful windsock for a bit of whimsy, a fresh airy feeling, and to inspire learning. Plants are important in a child’s room because they absorb carbon dioxide and provide us with fresh oxygen. Plants such as peace lily and rubber plant are so easy to grow and will help keep the room healthy. Plants can also soak up EMFs (electromagnetic radiation) given off by electrical items such as clocks, lamps, humidifiers, etc. EMFs can affect your child’s health. It is best to keep all electrical items, cell phone, etc., two to three feet away from the child’s body while they sleep so they can get a more restful sleep. Using organic bedding(3) (made without toxic pesticides or chemicals), natural flooring, and natural floor covers is important for the health of your child. When weather permits open the windows to bring in fresh air which cleanses a room. Your child will feel at peace and happy in their own room if you take the time to create a space that is healthy, nurturing, and filled with things that spark the imagination. (1) Feng Shui started in China about 5,000 years ago and is still used today. It is about creating an environment filled with balance and harmony and good Chi (or energy). (2) Here are some Zero-VOC’s paint: The Freshaire Choice (available at Home Depot), Sherwin Williams Harmony (available at Sherwin Williams), ECOtrend (available online), BioShield (available at retail locations throughout the US and Canada. See website for more info), Old-Fashioned Milk Paint Company (available online and at retailers listed online). (3)Here are a few resources for organic products: http://www.target.com/Organic-Natural-Bedding-Baby/b?ie=UTF8&node=491385011 or http://www.greenandmore.com/baby.html?navContext=ln_baby. 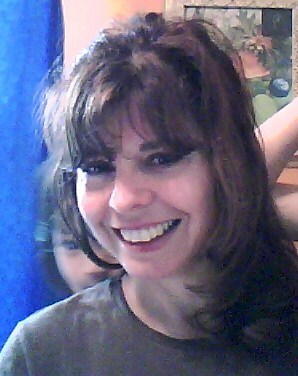 Dawn Gettig lives in Northeastern Ohio and is the owner of Gaia Design – Soulful Decorating, Feng Shui and Green Living. She has a certification in Advanced Feng Shui and Seven Star Space Clearing and Blessings™ as well as certification in Medicine Wheel Feng Shui™ with Interior Alignment® School. Dawn also serves on the board of the Interior Alignment® Feng Shui School. She has been studying Feng Shui for over 10 years and has studied yoga and spirituality for over 30 years. Dawn teaches The Medicine Wheel Home and The Medicine Wheel Path courses at Wise Woman University. Website ~ http://www.gaiadesign-foryourlife.com, Email Dawn at ~ gaiadesign22@sbcglobal.net. This entry was posted in Clutter Clearing, Decorating, Feng Shui, Green Living, Organizing. Bookmark the permalink. Design. Re-Design. Sacred Space. Decorate. Feng Shui. Green Living.